Lombard Swiss is a private, family-owned business that has been in business for more than 30 years. We are committed to bringing our customers the highest quality product with the least amount of hassle. We constantly look for ways to further improve ourselves the overall experience. 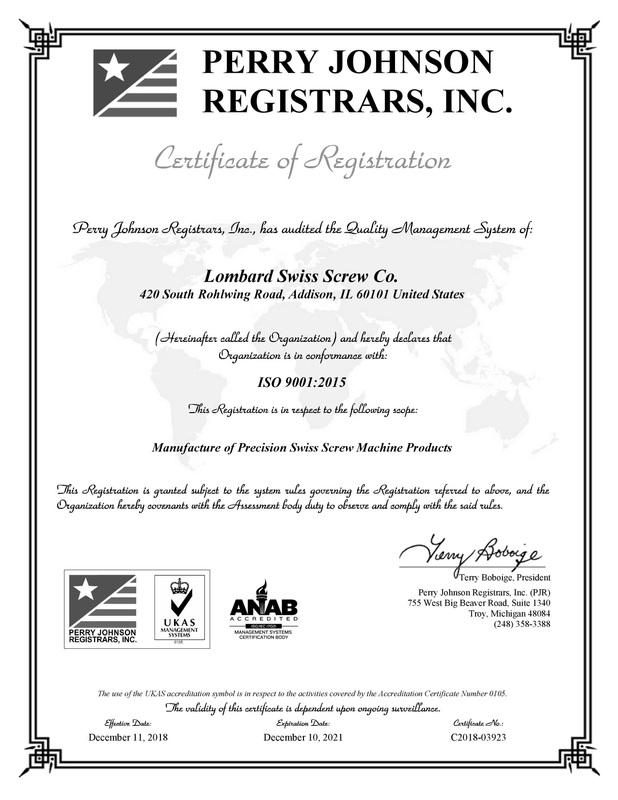 We are an ISO 9001:2015 registered company (click here to view registration certificate). Lombard Swiss is dedicated to providing quality products and services as needed to fulfill our customer requests. We are dedicated to continual improvement of all our processes to help assure our ability to meet these standards. © Copyright 2018 Lombard Swiss Screw Co.